← Small Batch Mayonnaise – 5 Ingredients! There are a some major misconceptions about henna and the “no poo” method. I’ve been dying my hair only with henna for over five years now. Four years ago, I switched from corn-ladened commercial shampoos and conditioners to the “no poo” method of washing my hair. That’s all. Baking soda, apple cider vinegar (ACV) and henna. Those are the only things that go in my hair—ever. Misconception 1: Henna comes in multiple colors. Nope, it only comes in red and comes from the leaves of the lawsonia inermis plant. Natural henna is actually cassia obovata. It provides a temporary faint yellowish tint and is very conditioning for your hair. Natural black henna is indigofera tinctoria. It’s also temporary color.These other plant powders can be mixed with henna for a variety of dye colors. For more information, go to the Henna for Hair website. 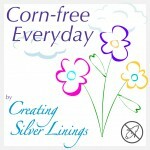 It’s a huge resource with a great forum for henna recipes. Be sure to check out their article on para-phenylenediamine, a dangerous chemical in most commercial dyes including the “natural” and so-called “henna” ones! I buy henna powder from a reputable source and mix it with lemon juice to release the dye and honey to help the dye remain wet long enough to penetrate the hair. That way I ensure that I’m only getting safe ingredients on my hair and scalp. Misconception 2: The baking soda and vinegar “no poo” method will damage your hair. Nope, not if you do it right. See the close up. Enough said. Ratios are very important in this process. You can increase the baking soda if your hair is more dirty and reduce it if your hair is feeling dry. Apply the baking soda solution with a squeeze bottle, scrub it into your wet hair and let it sit for a couple minutes. Thoroughly rinse it out or your scalp will itch. Then, pour the ACV solution over your hair and rinse it out as well. That’s it. Cheap and easy if you follow my guidelines. This combo works because the oils in hair are acidic. When you put the weak alkaline baking soda solution in your hair, it neutralizes the excess acidic oil and allows it to rinse away. Then when you put the weak acidic vinegar solution in your hair, it restores the pH balance on your scalp. If you don’t get carried away, this process is very gentle. Bonus travel tip: You can get ACV capsules, break them open and make your ACV rinse from them. So much easier than packing liquid ACV or buying it at every destination. You can’t use baking soda or vinegar separately and expect good results. Baking soda alone will make your hair feel like straw. ACV alone will make your hair feel greasy. They must be used together. Henna is permanent as it penetrates the hair shaft and fills the hollow core. You can’t strip it out. See the diagram at the Henna for Hair website showing the henna migrating the the center of the hair shaft. Baking soda will strip hair dye off your hair gradually. Henna is the only one that it can’t remove. Don’t use baking soda exclusively if you use commercial dyes, but you can use it occasionally to remove product and dye build up. Dying your hair with henna is a time commitment. The dye should stay on your hair for a minimum of three hours. The good news is that you can’t hurt anything by leaving it on too long. I wrap my head up in plastic stretch film and a shower cap, then put the ratty old towel on my pillow and go to bed. (No pictures will ever be provided for this step! LOL) I wash it out in the morning. This post was shared on Pennywise Platter, No Rules Weekend, Doggone Dirty Craftin’, HomeAcre Hop, Link Party, Catch A Glimpse, Inspire Us Thursday, Favorite Things, Full Plate, Fabulously Frugal, Create It Thursday, All Things Thursday, Project Stash, From Dream to Reality, Pretty Wednesday, What I Learned, It’s A Party, Wicked Awesome, Inspire Me Wednesday, Mountain Woman Rendezvous, Fresh Foods, Whatever Goes, What’s Cookin’, Wildcrafting Wednesday, Lovely Ladies Linky, Your Whims, We Did It, Wednesday Whatsits, WFMW, Real Food Wednesday, Wake Up Wednesday, Wow Me, Allergy Free Wednesdays, WNWNW, Wonderfully Creative, Cast Party, Wonderful Wednesday, Whimsy Wednesday, Creative Muster, Natural Living, Block Party, Mix It Up, Real Food Recipe, See Ya in the Gumbo, Monday Funday, A Round Tuit, Marvelous Monday, Inspiration Monday, Handmade Tuesday, Turn It Up, Anti-procrastination, Totally Talented, Share Your Stuff, Inspire Me, Treasure Box, You’re Gonna Love It, Create Link Inspire, Time to Sparkle, Inspire Me, Good Tips, Thoughtful Spot, Mad Skills, Made By You, Show Me What Ya Got, Tuesday with a Twist, Tutorial Tuesday, Try A New Recipe, Sew Darn Crafty, Tasty Tuesday, One Project at a Time, Five Friday Finds, Take A Look, Wordless Wednesday, Two Cup Tuesday, Much Ado About Monday, Fat Tuesday, Mostly Homemade, Homestead Barn Hop, What’d You Do This Weekend, Wildly Original, Showlicious, Happiness is Homemade, Simple Life, Anything Goes, Clever Chicks, Check Me Out, No Rules Weekend, Flaunt It, Eat Create Party, Inspire Me Please, Show & Tell, Strut Your Stuff, Show Stopper, Inspiration Spotlight, Savoring Saturdays, and Weekend No Rules. 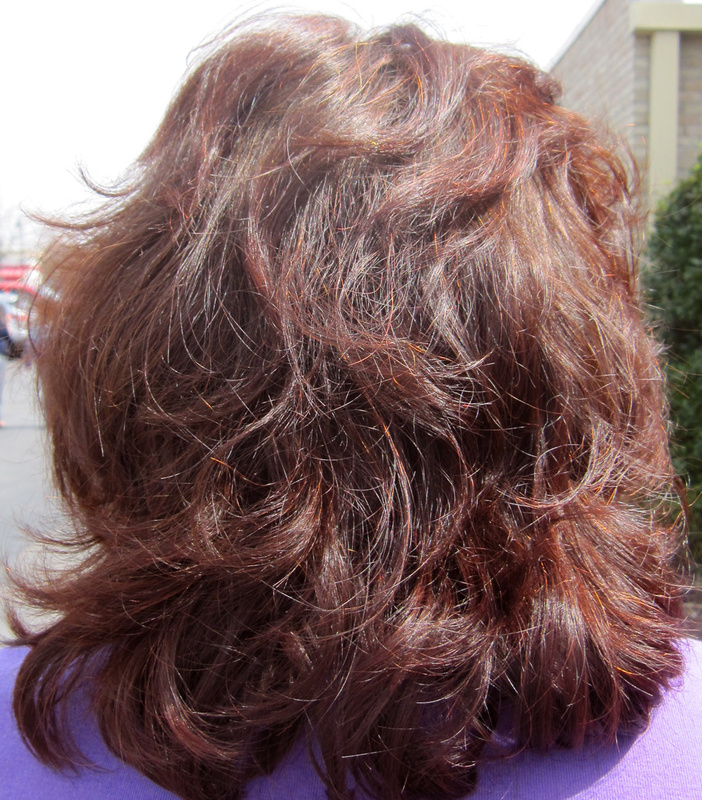 This entry was posted in Tips and tagged hair care, henna. Bookmark the permalink. Thank you for addressing the myth of damage caused by baking soda/ACV. I succumbed to the alarmists and stopped the no-poo method, but I am going back. I do have a question though: Do you use anything as a styling/smoothing/de-tangling aid? As long as I get my ends trimmed about every 6 weeks, I don’t have that problem. But you’re in luck. I just read an article about using of marshmallow root to make a detangling spray. If you try it, come back and let me know how it works. Interesting about the henna. Every single day I think, “there must be a Grecian Formula-like product for women.” I mean, why should we endure expensive, caustic chemical dyes that are all-or-nothing color? I wish there were something that I could just wash in on a more regular basis that keeps my natural color more lively. I made the commitment more than a year ago (almost two years ago) to use the no poo method when my store bought shampoo and conditioner ran out. Know something? Despite my commitment, and strong dislike for shopping, I STILL have store bought stuff!!!! Then my son made a buying mistake and gave me his full bottle of conditioner mistake. He also left his shampoo behind after his visit. I can’t just throw the stuff out. And who’s going to take an opened bottle of shampoo/conditioner? With all of the chemicals in the stuff, there’s probably no expiration date. I use the shampoo to clean the toilet, wash dishes with, etc. Yes, I multi-purpose it and it does fine. The stuff is designed to remove oil from your hair and does just fine to remove grease from dishes. So, maybe another six months until my supplies run out? I have my henna on standby – need a few days and a helper for that one. I have my no poo stuff on standby too. I am soooooo looking forward to making THIS change too! Do you use alternatives for deodorant, toothpaste, etc? I have already made those changes and love the difference! I know some people have mentioned an ugly transition phase. I didn’t experience that at all. I think you might experience it if you have heavy product build up on your hair or if you have oily hair. In either case, play with the ratio of baking soda to water. A stronger solution will help you cut through it. Allowing the solution to sit on your hair for a few minutes in the shower would also help. Both of these choices are mainly to avoid ingredients derived from corn. 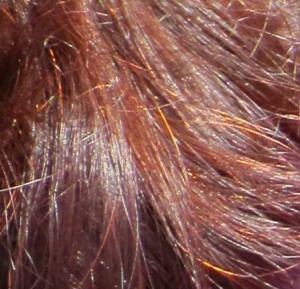 henna is a great dye alternative, but if you plan on using henna, keep in mind that if you ever decide to dye with another medium (not henna based) then you may have difficulties depending on how fresh the henna is in your hair as henna tends to really stick to hair follicles and takes ages to come out. That aside, it’s incredibly good for hair and nourishes locks. Wow what an interesting post. I have been spending the last year looking for a good home colouring system after a bad experience at the hairdressers. I have never heard of the ‘no poo’ method but I love the fact it’s natural and removes all those nasty chemicals. Wow! I didn’t realize that baking soda would strip out commercial dye. That’s good to know! Yep. It will gradually strip off anything that coats the hair. However, it will have no stripping effect on bleached hair, just additive color. I don’t recommend commercial dyes because of all the chemicals but I don’t judge either. If you choose to use commercial dye, you can use the stripping effect to your advantage by washing your hair with baking soda before your next dye session. You want to make sure there’s no product residue on your hair so that the new dye will adhere better. Good tips. I appreciate the “gotchas” section too! I am glad I read this! I had no idea that Henna came in one color only, and I am embarrassed to admit I didn’t know you could keep your hair clean without shampoo! Great post. I’m a no-pooer too! i love how great my hair feels since the switch a few years ago. Congrats on being chosen as a featured post on this week’s Wildcrafting Wednesdays! I hope you’ll join us again and share more of your awesome posts. That’s great! Come back and let me know how it goes. I wonder if you just use pure henna (red) and what ‘color you natural hair is. Your color is beautiful . I would like to try henna on my dark brown natural that now is like 15% white. Thanks! I do use 100% henna. My hair is naturally a medium brunette with some gray. The red highlights you see in my hair are from the henna showing through the gray. Henna is a permanent transparent addition to your own color, if that makes sense. It’s going to work with your own highlights and not cover them up. I don’t know what percentage gray I have. I haven’t really looked that closely. 😉 I know I have more at my temples than anywhere else. The rest is just sprinkled here and there.